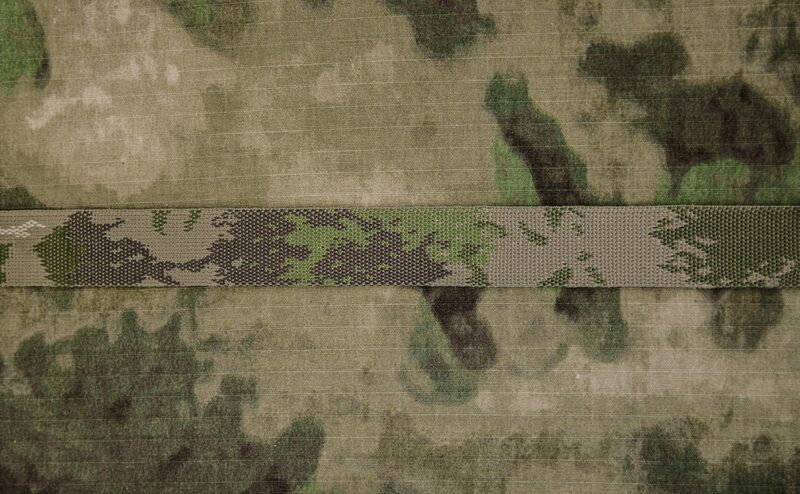 Original A-Tacs™ AU Camo (Arid Urban) was developed by Digital Concealment Systems, (DCS) to answer the call for more effective camouflage system integration for Special Operations personnel in any service branch from military to law enforcement. A-Tacs™ AU is designed as a universal pattern for a wide range of operational environments with additional supporting color and design variants following its initial introduction. A-Tacs™ Camo was the first pattern in a new class of hybrid patterns that fit into neither category of digital geometric or organic “blob”. A-Tacs™ replaces un-natural square pixels with organic pixels. The pattern is then created using a mathematical algorithm that writes organically-shaped” pixels using the specific color information given. A-Tacs™ uses small patterns to create larger more distinct shapes designed to work at a distance. It creates a pattern within a pattern, effectively breaking the human outline. A-Tacs™ utilizes a more effective color-range. All our A-Tacs™ webbing patterns are approved by A-Tacs™, and are made in Berry Amendment compliant material. All products are available with any value-added option. Custom weights and widths are available upon request. Contact us today to order! Our A-TACS AU backpack weight options come in 19mm, 25mm, 38mm, and 50mm widths. AU Deployment Belt weight webbing comes in a 44mm width and has a breaking load of 5,000lbs. Effective in a wide range of temperate environments. Our A-Tacs FG backpack weight options come in 19mm, 25mm, 38mm, and 50mm widths. FG Deployment Belt weight webbing comes in a 44mm width and has a breaking load of 5,000lbs. 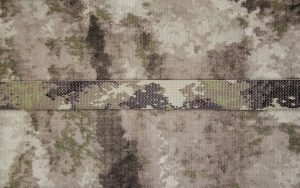 New A-Tacs iX (Intermediate Xtreme) Camo is the first in a new generation of concealment from A-Tacs Camo. New A-Tacs iX Camo is best suited for transitional environments with a blended mix of intermediate greens and desert tans. Our A-Tacs iX backpack weight options come in 19mm, 25mm, 38mm, and 50mm widths. iX Deployment Belt weight webbing comes in a 44mm width and has a breaking load of 5,000lbs.